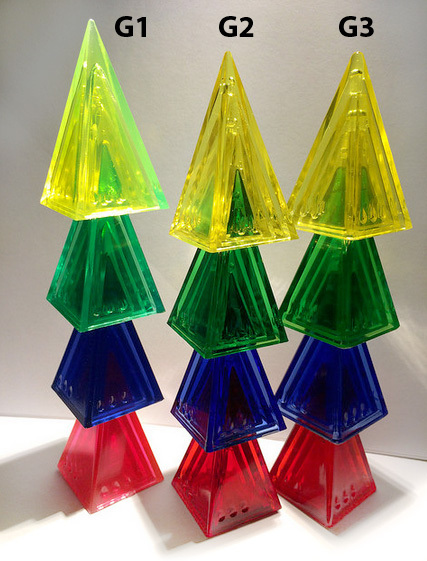 Q: What size are the new Zendo pieces, relative to regular pyramids? Would they fit in a Volcano board? Q: I’d like to buy some of your pyramids in quantity, how can I do that? Q: The pegs in don’t stay in well for Fluxx: the Board Game. What can I do about that? Q: Why are some of your games in hang-tab boxes, and some in two-part lidded boxes? Q: What can we do about certain card types becoming overworn (Goals in Aquarius, Choice cards in Choose One)? Q: Who prints your promo cards, and is it done in the US? Q: I just bought a new Fluxx, and the cardstock feels really cheap and flimsy! What’s up with that? Q: How can I use my printer to make my Fluxx Blanxx come out really nice? Q: How can I get my game printed & packaged? What printers does Looney Labs use? 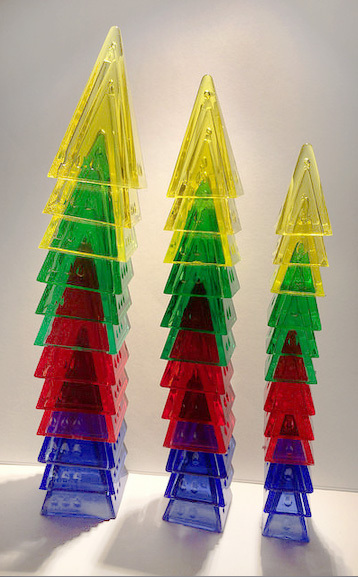 A: The pyramids in the new Zendo set are the size of a medium Icehouse pyramid, and the other Zendo pieces have the expected proportions, in other words the square base shape of all of them is the same size. So they will fit in a Volcano board just fine, but they’ll be a little smaller than the squares, since the Volcano board is designed to hold a large. 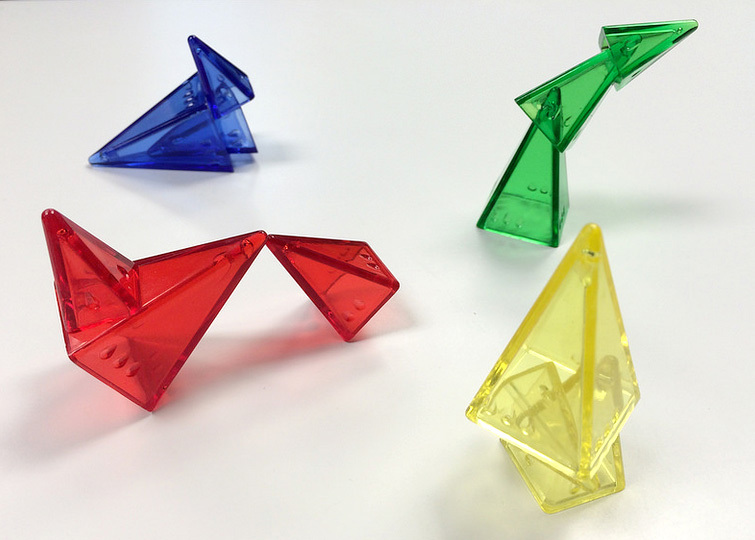 A: Our pyramids are custom manufactured for our games. 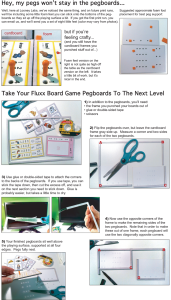 They are Looney Labs items, and we would not want them used in any other product which is not made by, or officially associated with our company, and certainly not in any other product sold by someone else. The long and short of it is: They are not for sale in quantity. Please look into using some other-shaped piece for your games. There are a vast number of companies which produce pawns in all sorts of shapes and sizes. If you need them to stack, that quality is undoubtedly available as well. A: It’s part of our forays into the mass market, vs. the smaller specialty hobby game toy store market. For those games that we feel will work well for the wider audience we use the more common hang-tab style box, which is also slightly cheaper to produce, and allows us to bring prices down for some of the larger retailers who demand lower prices. A: We suggest that you use card sleeves to protect these overused card types. If you’re unfamiliar with these, they are simply custom-sized plastic pockets to put your card in to protect them from wear. People who play games with collectible cards often do this to protect cards they want game with but don’t want to damage for their collectible aspect. Or avid gamers do it for the reasons mentioned here: to protect frequently used game components. You should be able to still shuffle a deck with all cards in sleeves, though it may take some getting used to. This informational page (on BoardGameGeek) is incredibly dense, so it starts with a lengthy description of how to read the chart. Then scroll down for a list of games by title. There are pages and pages of them, but you can click to the alphabetic range you need. Find the game you’re interested in on the list and click the NUMBER to the left (clicking the name gets you to an interesting game description page, but not the card sleeve sizing recommendations). Aquarius is on there, as is Fluxx, but Choose One was not deemed popular enough to include specifically, though the cards should be the same size as Fluxx, which IS certainly on the list. Although they show two separate lists for first and second edition of Aquarius, to our knowledge, they are exactly the same size. That said, the second edition is more common these days. The Goals have round images, and the deck includes diagonally split cards. 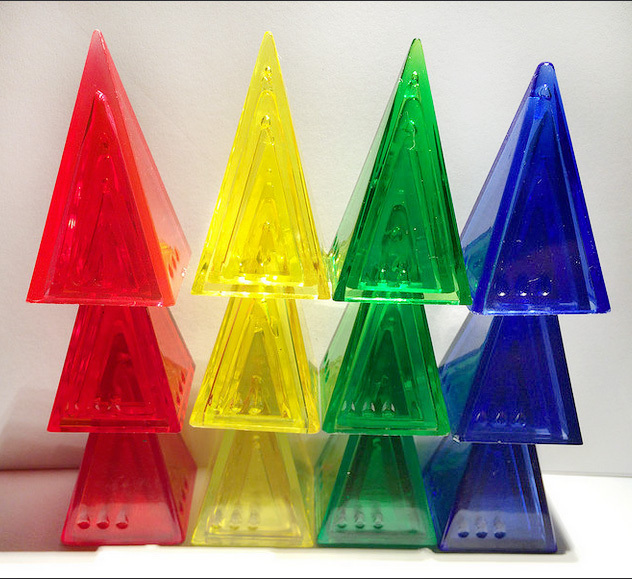 A: All our cards are printed in the US, except for components in Pyramid Arcade. Our main printer, DeLano, who prints all our card games also does most of the packets and expansions. If there are very old packets and expansions in our stock, they might have been done by our previous printer, Carta Mundi. They’re a Belgian company, but they have printing facilities here in the US. For loose promo cards and smaller runs of packs, we use a print-on-demand printer called DriveThruCards. In the “olden days” we used a very local printer for the b&w art cards, and I’m sure some of those are still in inventory and being sold in the webstore. They’re literally down the street from us. Custom Loonacy is done by another print-on-demand printer called The Game Crafter. The peel-off promo-postcards were done by a company called Membership Cards Only. (I know, I know, “But those aren’t membership cards!” Hahahahah!). A: Most of our card games have the same size cards, a slightly narrower type many would call “bridge sized” though that’s not a precise category. The card size (roughly, using a ruler) is: 3 & 7/16″ (8.75 cm) tall by 2 & 13/64″ (5.6 cm) wide. This is for Fluxx, Chrononauts, Just Desserts, Loonacy, Are You A Werewolf (current printing), Are You The Traitor. I could swear Choose One cards are just a hair wider on the short side, but they’re VERY close. Aquarius (and original-style Nanofictionary) are 3 & 31/64″ (8.85 cm) tall by 2 & 1/2″ (6.3 cm) wide. Current Nano is the same size as Fluxx etc. 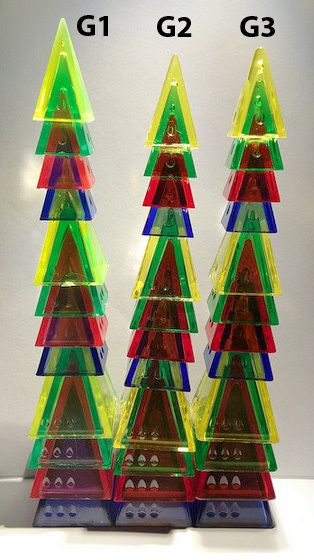 Zendo cards are the same size as the Pyramid Arcade deck, which is aaaalllmmost the same size as Aquarius cards. But not quite. See also: What size are the cards in Pyramid Arcade? A: It’s true that of our cardstock has changed over the years, as we’ve changed printers and different stocks have been available to us, but for all standard playing-card core decks, it’s been the same for the last ten years, starting in 2008 with Fluxx 4.0. It’s important that nothing fundamentally change about the cardstock because all of the safety testing needs to hold up from batch to batch. 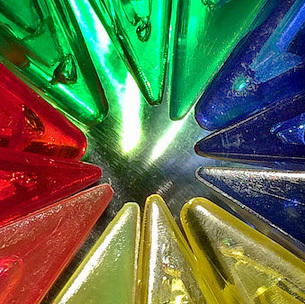 Our printer reports that we use Stoplight black-core 11pt paper. Most casino cards are around 10.5 to 10.8pt, our stock [at 11pt] is very slightly thicker than that on average. I’ve been a nerd about the relative density lately. For the thickness of stock we are using, this density is hard to beat. Which means it’s real good stuff. For years I’ve been trying to find either a cheaper same quality alternative for you, or a better quality for the same price. No luck so far. You’d be surprised at how much time has been spent on this project. I’ve even worked with paper scientists to engineer a completely new type of paper. What we are using now still outperformed those efforts. Just for clarification, 11pt /.011″ is not the relative density. That’s the thickness. The relative density is 302 gsm. While there are things out there with a higher gsm (they just make the card thicker), at the casino card thickness, this has one of the best/highest actual densities out there. I’ve only seen one stock that’s better, but it costs more and we’d have to ship it in from France. We find that the reason new decks card spin and slide on the table more is because they’re often a little slicker than older, more well-worn cards, not because they weigh a different amount (differences would be infinitesimal for one single card compared to another). They do certainly bend easier than some of those older stocks from back in the day, but we find that they hold up to play just as well. Given the wealth of information we just got from the printer it seems likely that the relative density they are so excited about doesn’t necessarily make the card stiffer, and the lack of stiffness (increased bendyness) is what’s making the cards seem less substantial. I’ve often wondered whether the cards don’t stiffen with age, but that’s just a personal speculation. We hope this has all been informative, at the very least. We are sad that you are disappointed with the perceived cardstock quality, but we hope this will not detract from your enjoyment of playing the game itself. A: Here’s a link to an old page on the wayback machine that gathers some wisdom from longtime fans. Some people print onto stickers (that’s what we do here at the Lab for prototypes – but then again, we don’t have to use those forever). Most of these recommendations involve using a carrier sheet to run the cards through the printer, and recommend a clear spray coat to keep the ink from smudging. A: Look around for card printers, and they will have various packaging options included. If you care whether the work is actually done in the USA, make sure you ask that, since many people offering quotes will be brokers working with overseas printers in China or other countries. I found all that by Googling “card game printers” so go to town on that Internet thing! Also try “card game print on demand” or “board game print on demand” or whatever.